A high-resolution 2000-year methane record has been constructed from an ice core recovered at 7200 m a.s.l. on the Dasuopu Glacier in the central Himalayas. This sub-tropical methane record reveals an increasing trend in the concentration of methane during the industrial era that is similar to observations from polar regions. However, we also observed the differences in the atmospheric methane mixing ratio between this monsoon record and those from polar regions during pre-industrial times. In the time interval 0 ∼ 1850 A.D., the average methane concentration in the Dasuopu ice core was 782±40 ppbv and the maximum temporal variation exceeded 200 ppbv. The difference gradient of methane concentration in Dasuopu ice core with Greenland and Antarctica cores are 66±40 ppbv and 107±40 ppbv, respectively. This suggests that the tropical latitudes might have acted as a major global methane source in preindustrial times. 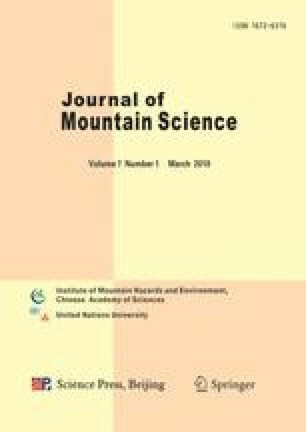 In addition, the temporal fluctuation of the pre-industrial methane records suggests that monsoon evolution incorporated with high methane emission from south Asia might be responsible for the relatively high methane concentration observed in the Dasuopu ice core around A.D. 800 and A.D. 1600. These results provide a rough understanding of the contribution of tropical methane source to the global methane budget and also the relationship between atmospheric methane and climate change.